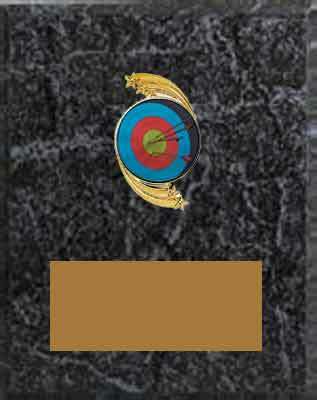 H & R Trophies offers you a large selection of beautiful award plaques that would be great for all archery club awards. 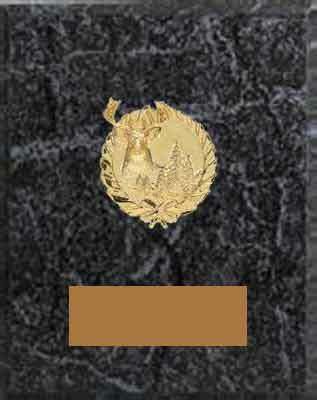 Customize your awards by choosing the picture best suited to your club. If you're looking for wildlife, H & R has some of the wildest! Looking for something more tamer? We have a variety of target pictures. But, if it's classic style you're going for, then look no further. The only problem you'll have with our emblems is trying to choose the one you like best. Simply click on the plaque below which will take you to the order page. 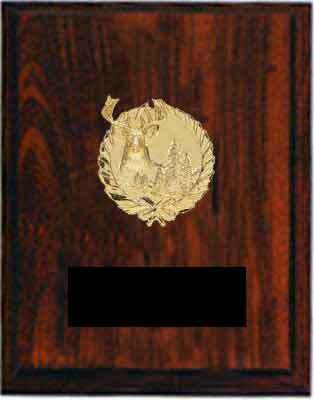 We have plaques available for the both the 3D and target shooting competitions. 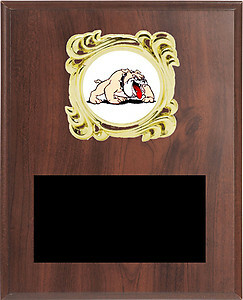 Our low prices begin at $4.25, each plaque includes 40 characters of free engraving, if more engraving is needed it is only 7 cents per character. 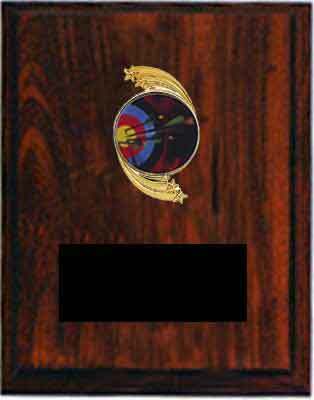 Archery plaques may be purchased in 3 different finishes, (cherry finish, black marble finish or solid walnut).